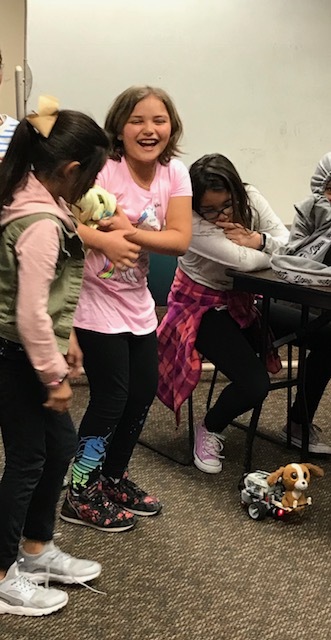 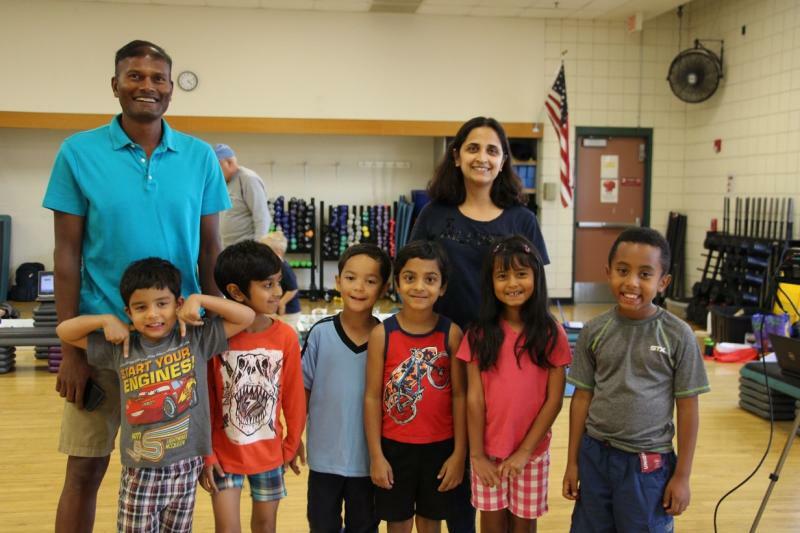 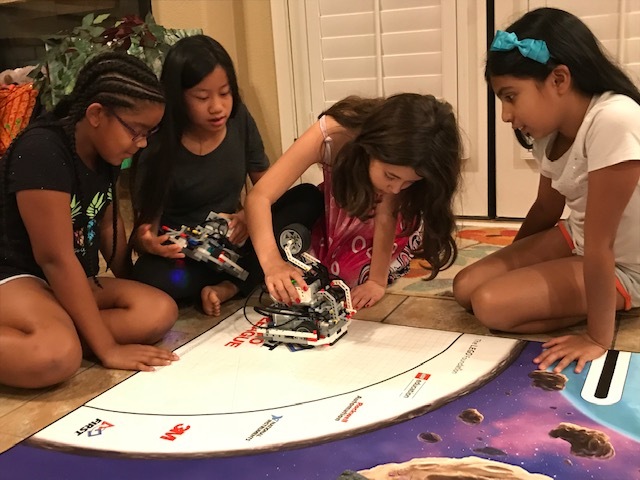 Every Friday and Saturday, you will find kids huddled together, working on a robot or an Arduino board, at the East Valley Boys & Girls Clubs and the Valley YMCAs. 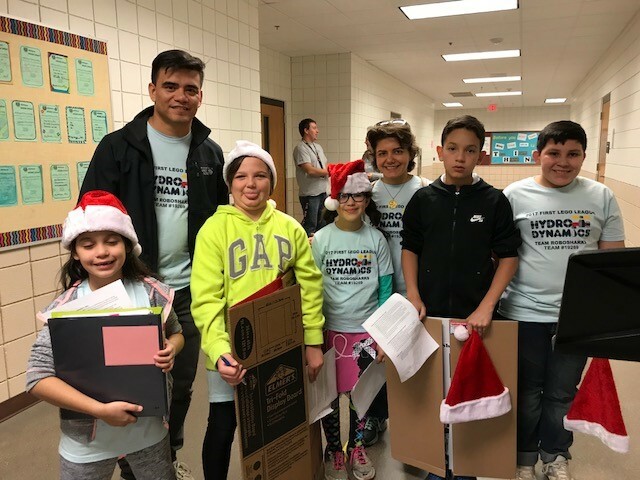 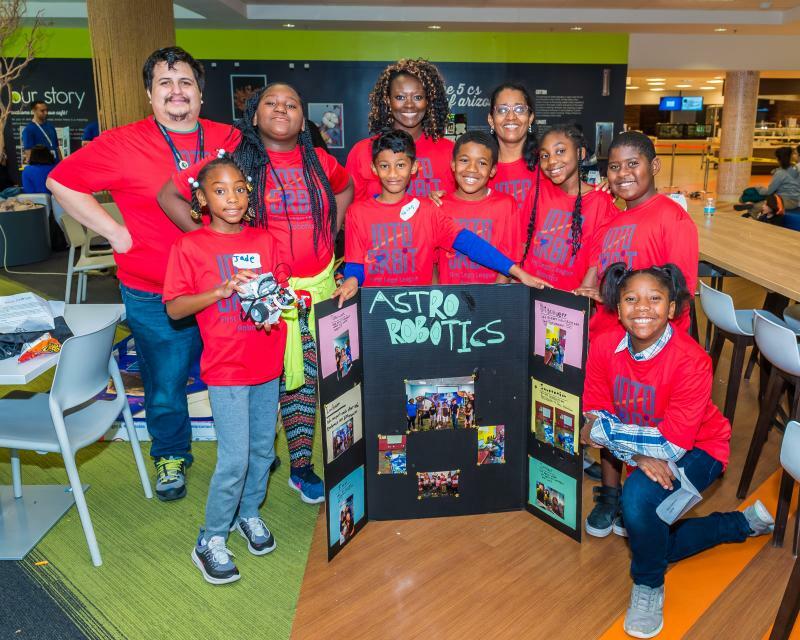 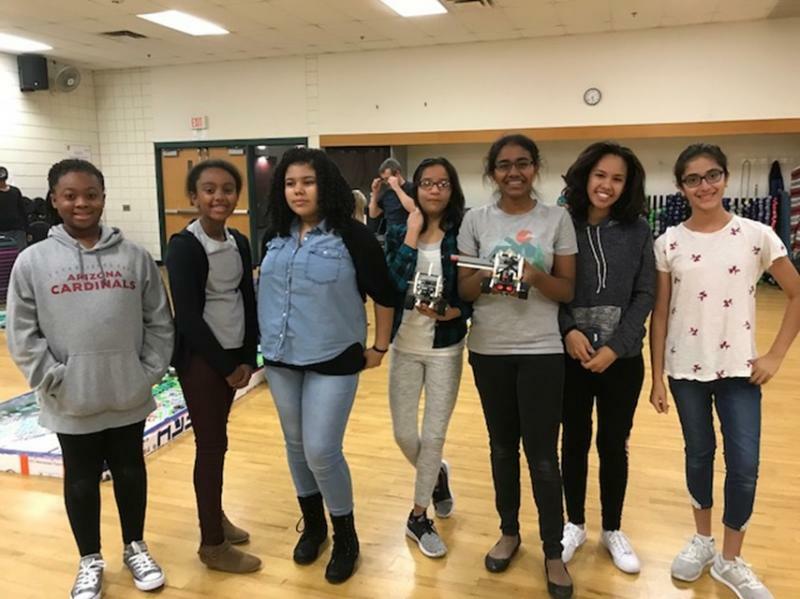 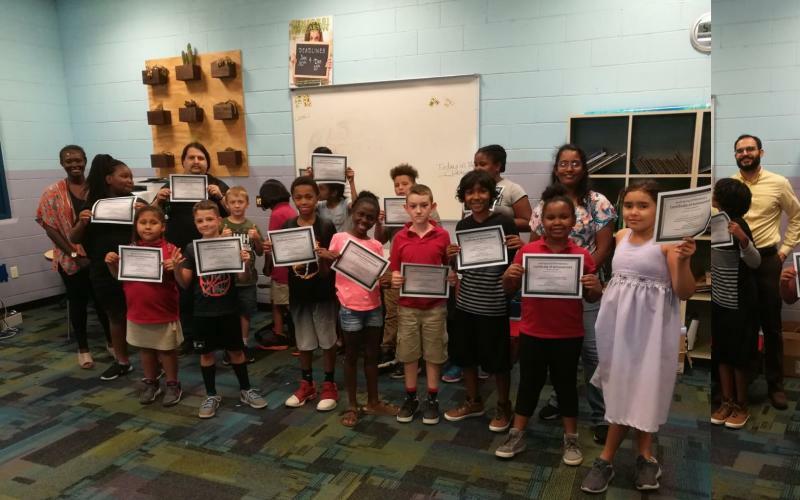 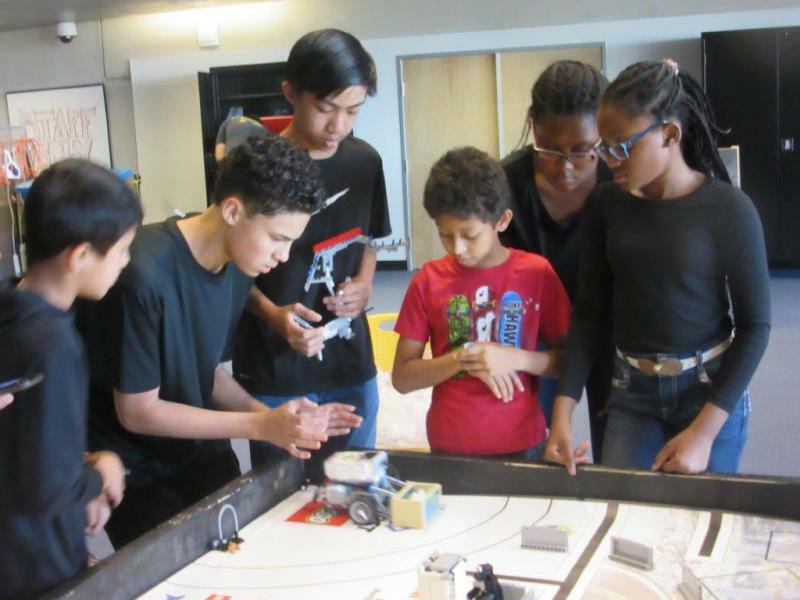 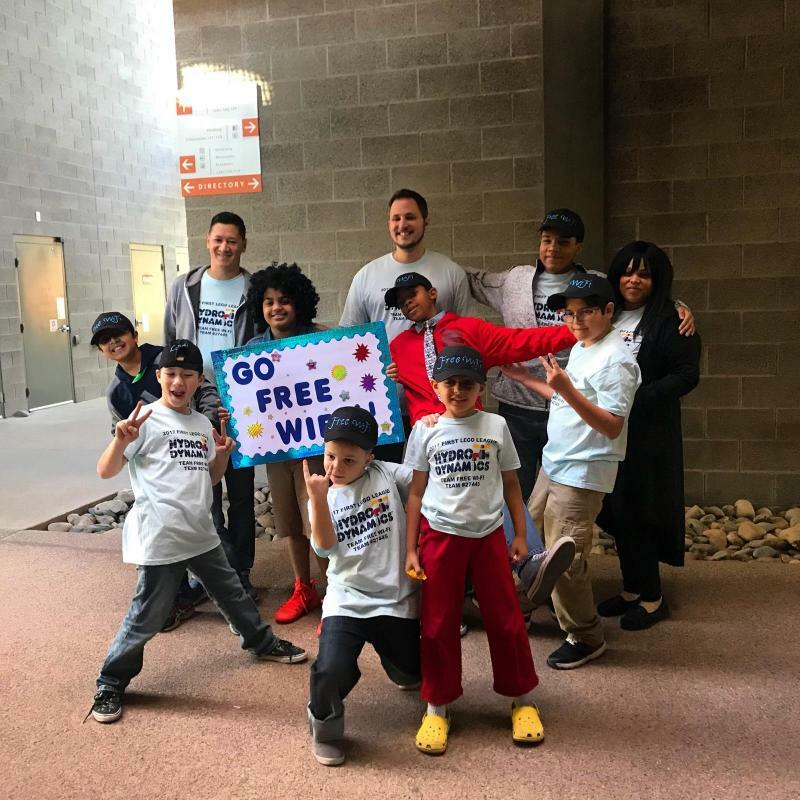 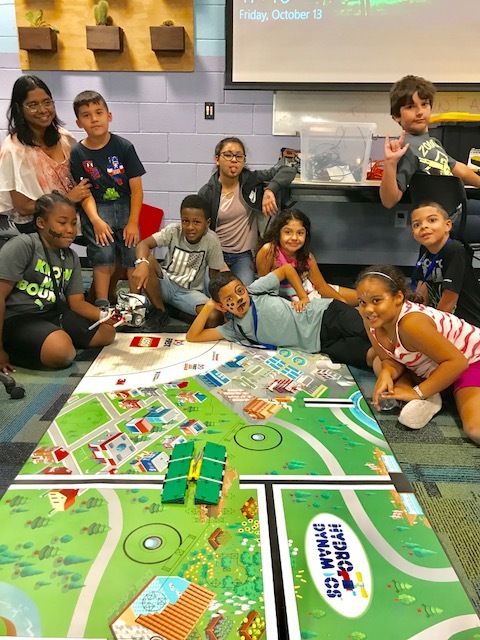 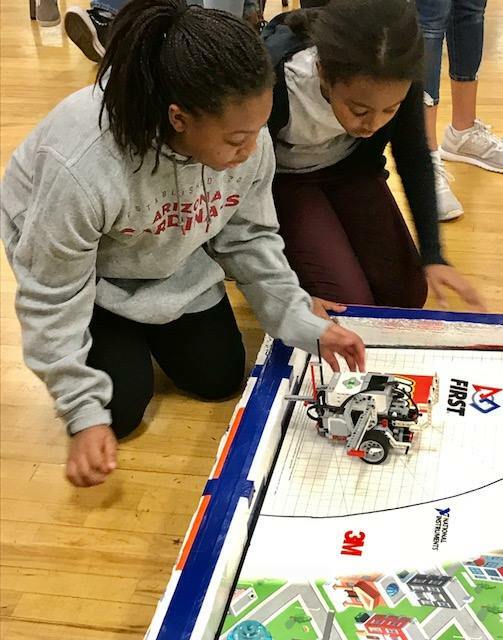 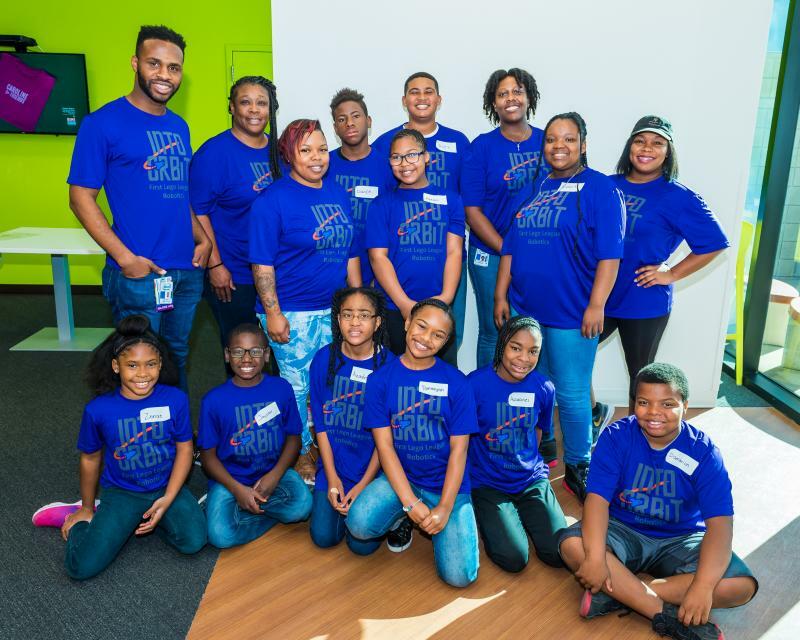 These kids are part of our after-school STEM-robotics clubs, who meet afterschool to learn hands-on STEM skill sets and engineering problem solving skills. 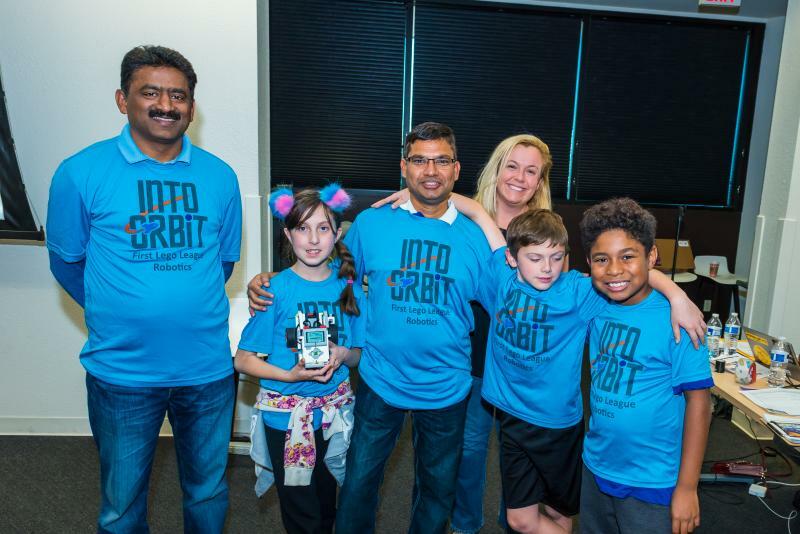 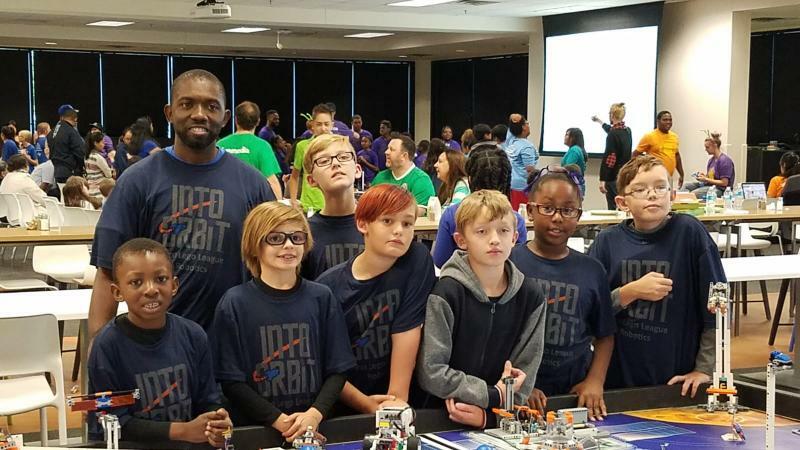 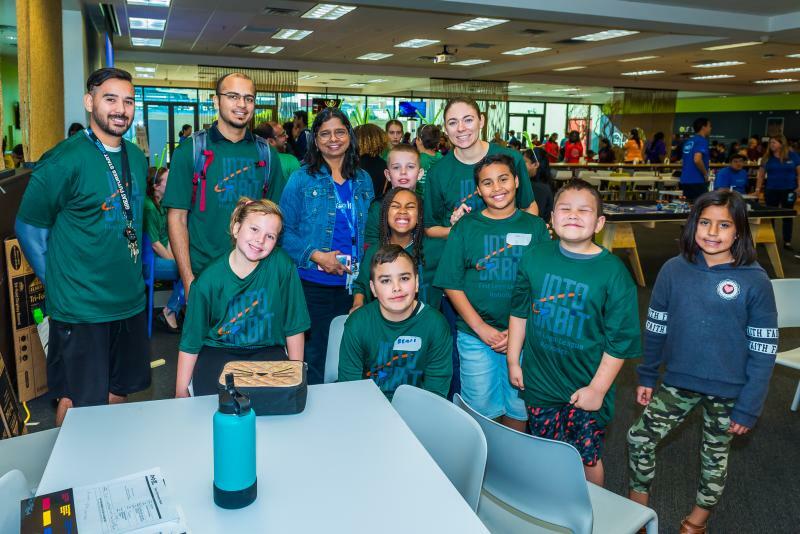 Thanks to our sponsors Intel foundation & Unruh foundation, our 13 FLL teams will compete in the "Into-Orbit" challenge. 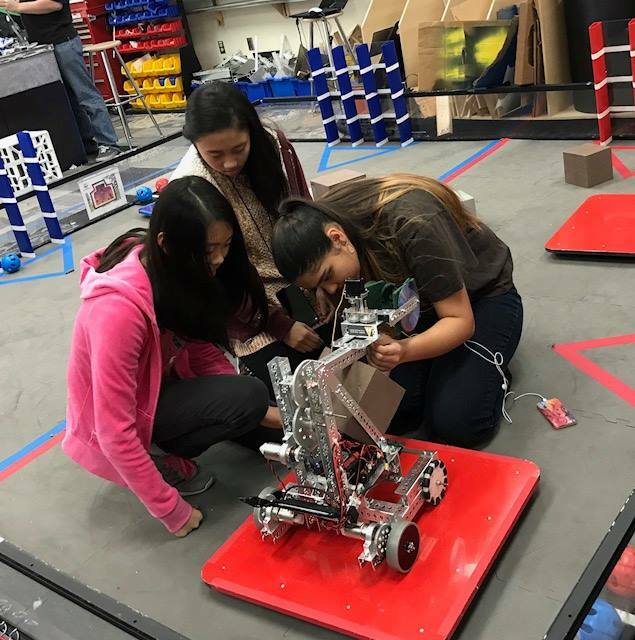 Good luck to all teams! 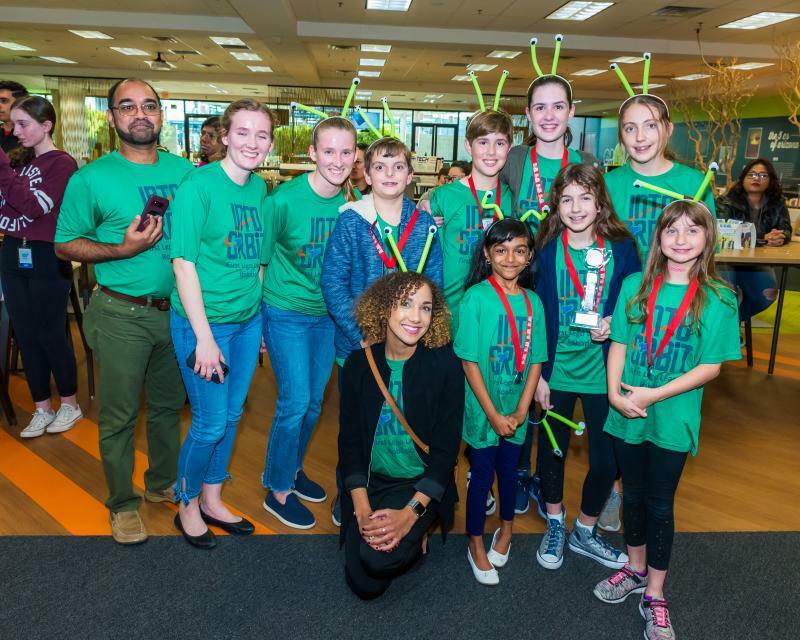 2018 State level winners of the Best Research Rroject: Area 52 team based in Chandler Arizona. 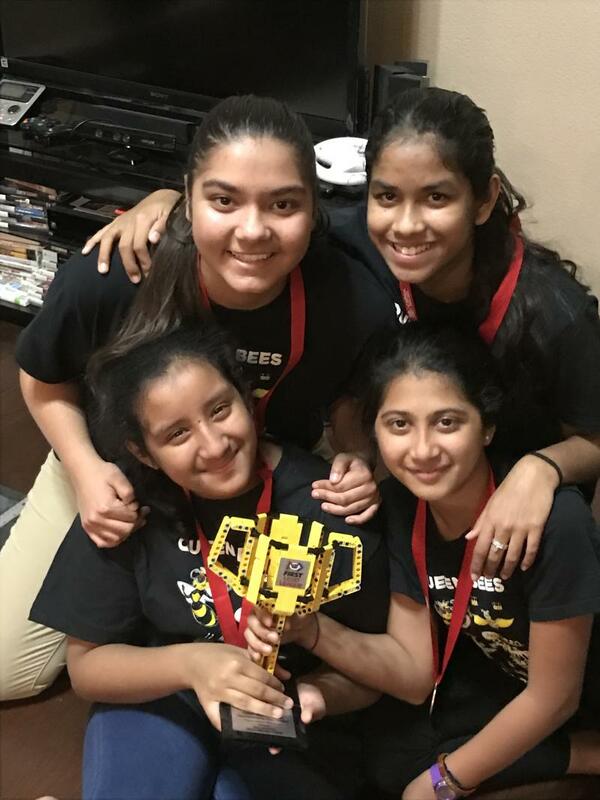 The team won Best Research project at State tournament 01/20/2019 at ASU. 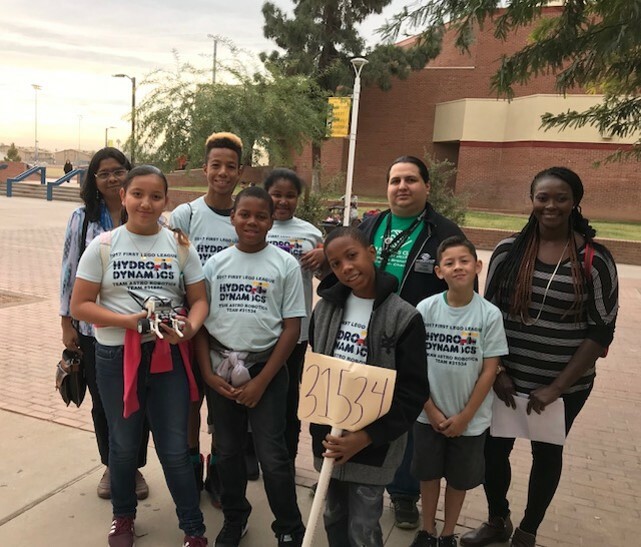 Winners of Best research project -The Little Dippers, Mesa based team at Regional Tournament. 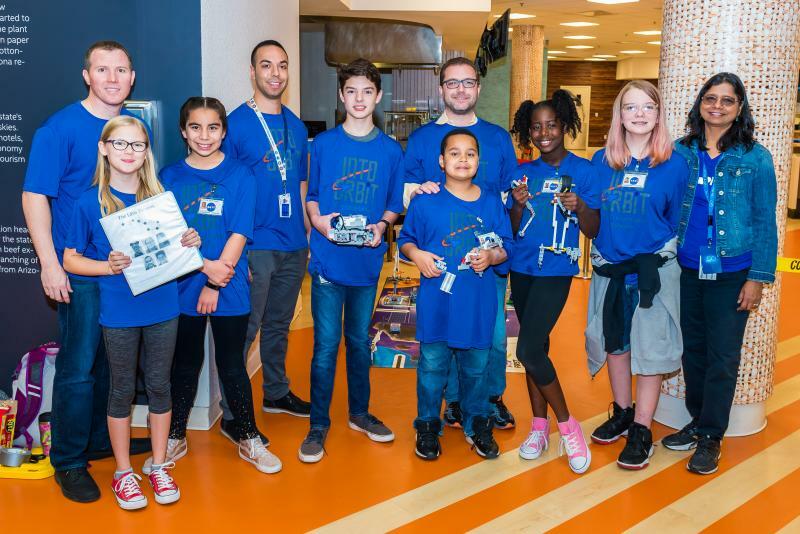 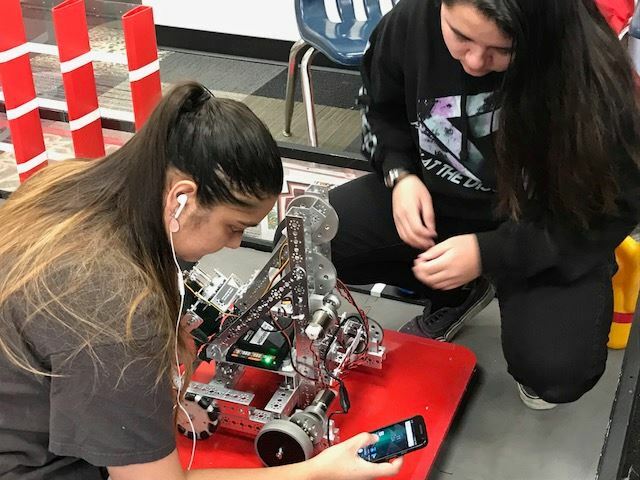 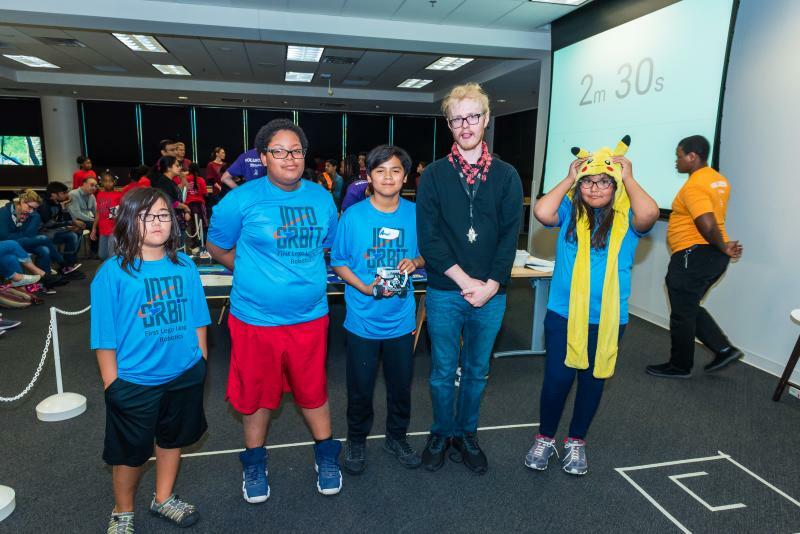 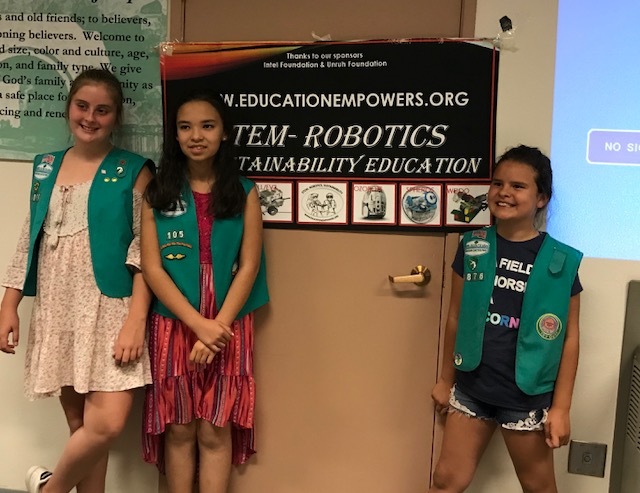 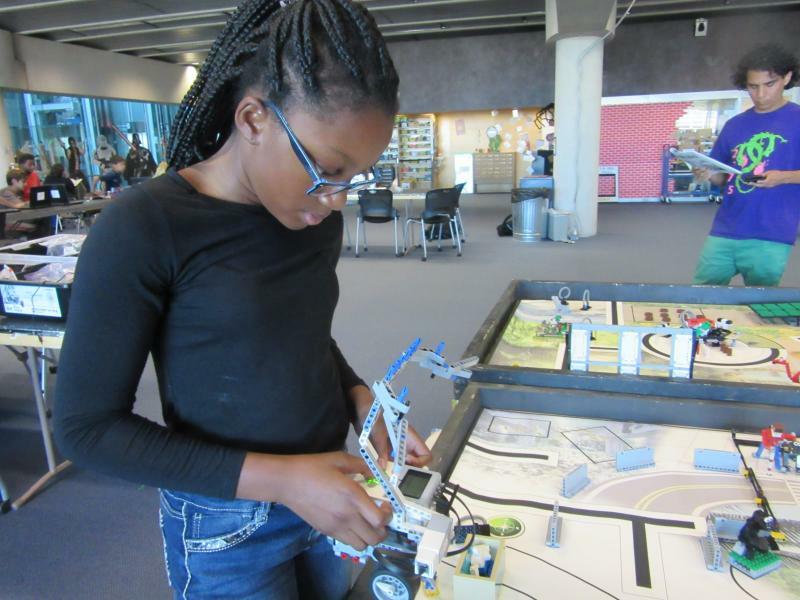 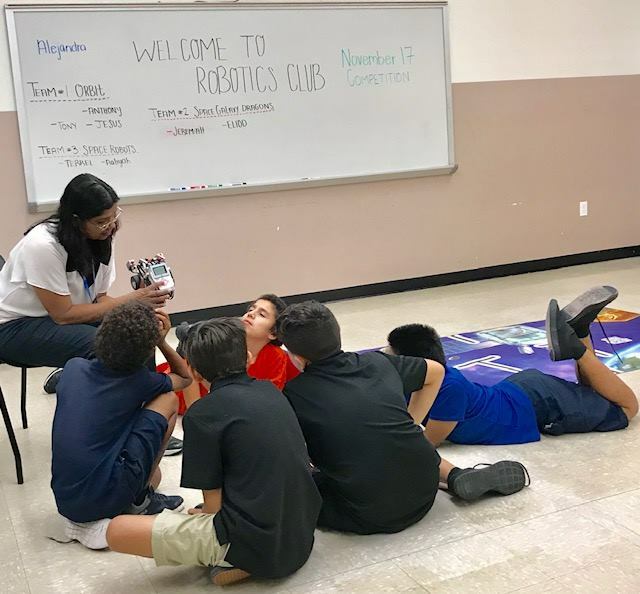 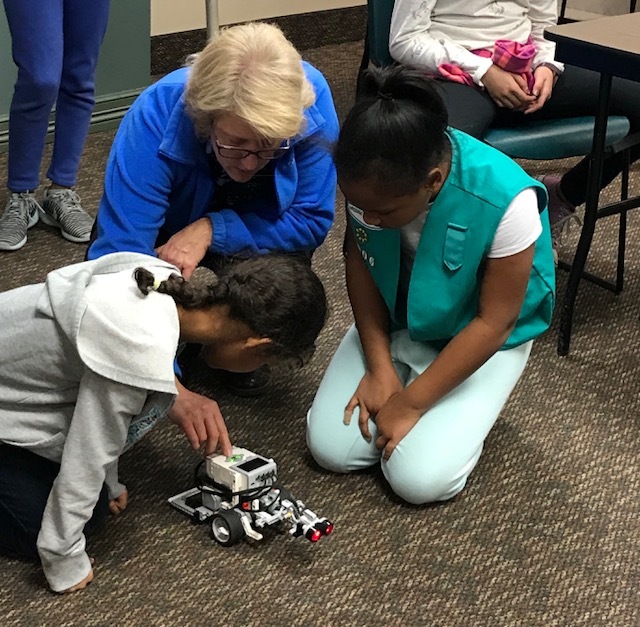 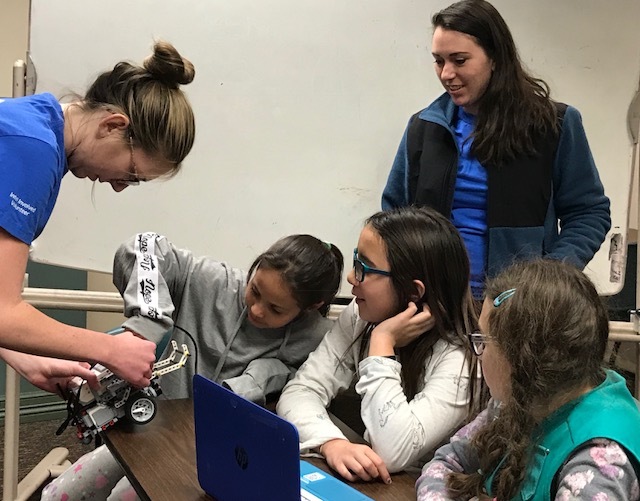 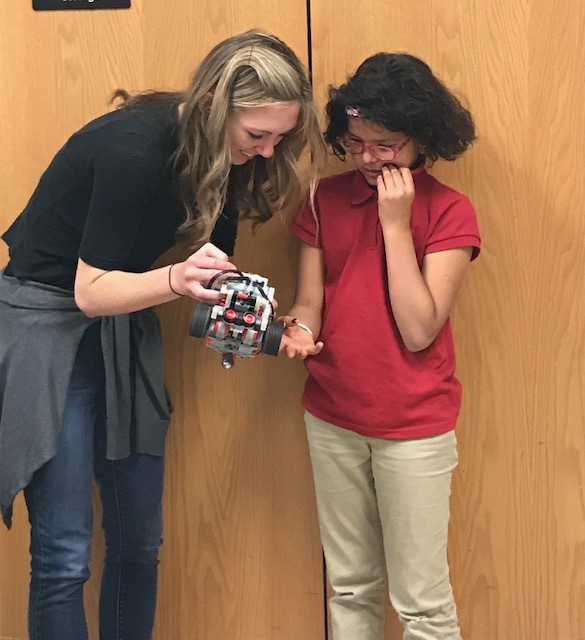 Year around, afterschool STEM-Robotics club at Boys & Girls clubs in AZ to increase students exposure to STEM and Robotics. 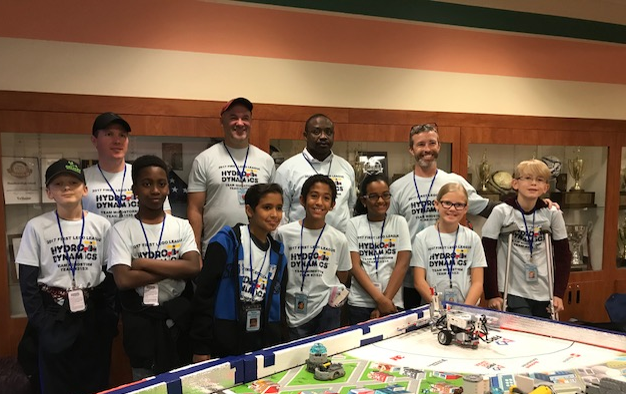 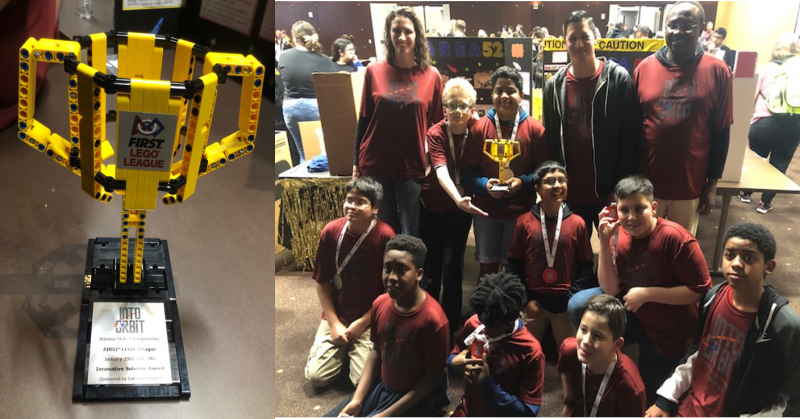 2017 FLL & FTC Challenge! 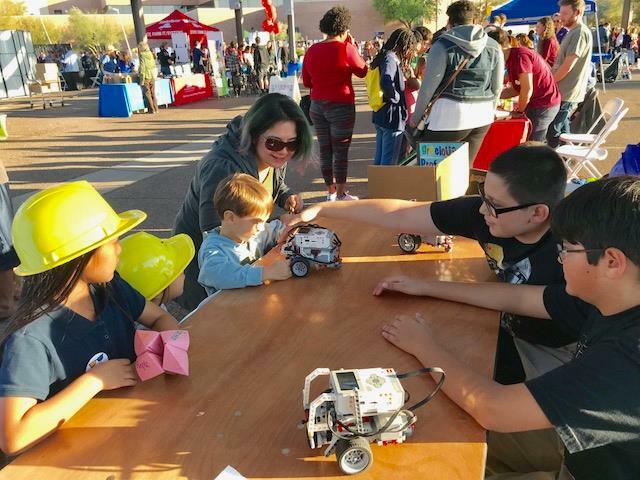 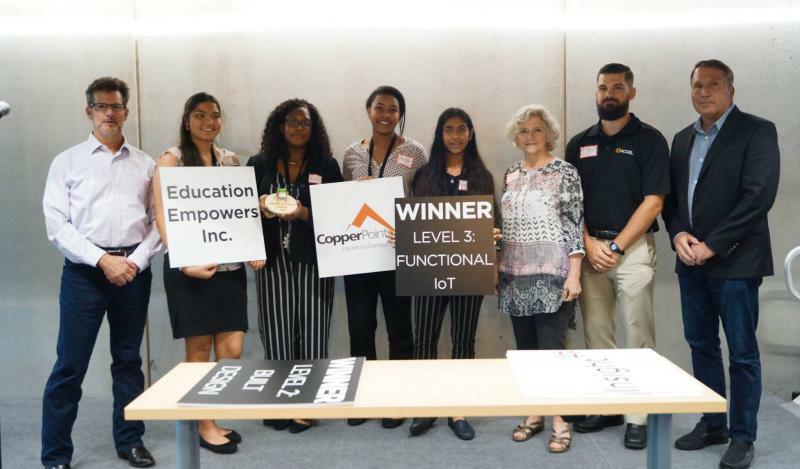 Many Thanks to our Sponsors & Partners: Intel Foundation, James A Unruh Foundation, ASU, CSO program, YMCA, East Valley Boys & Girls Clubs, Girls Scouts of Arizona. 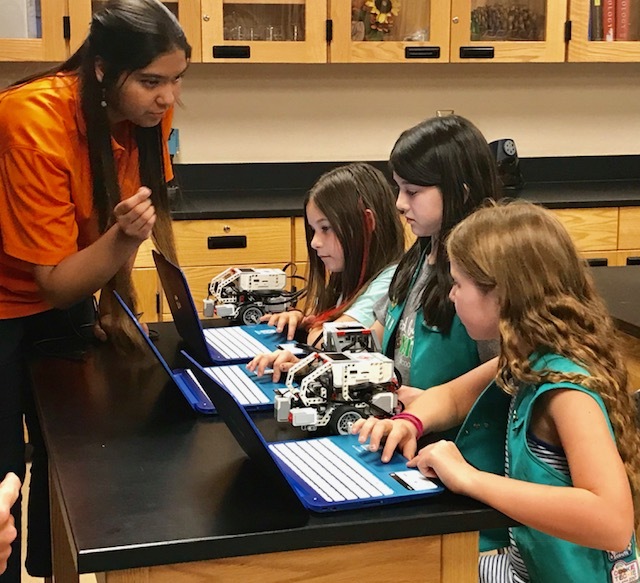 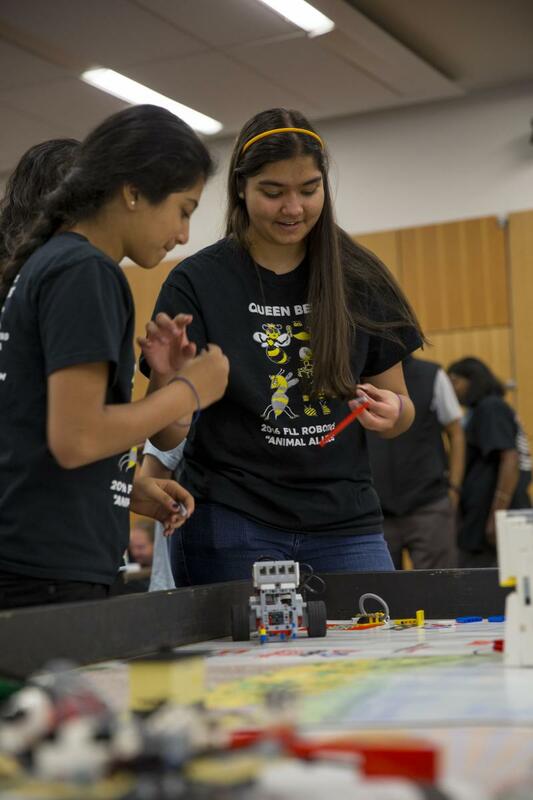 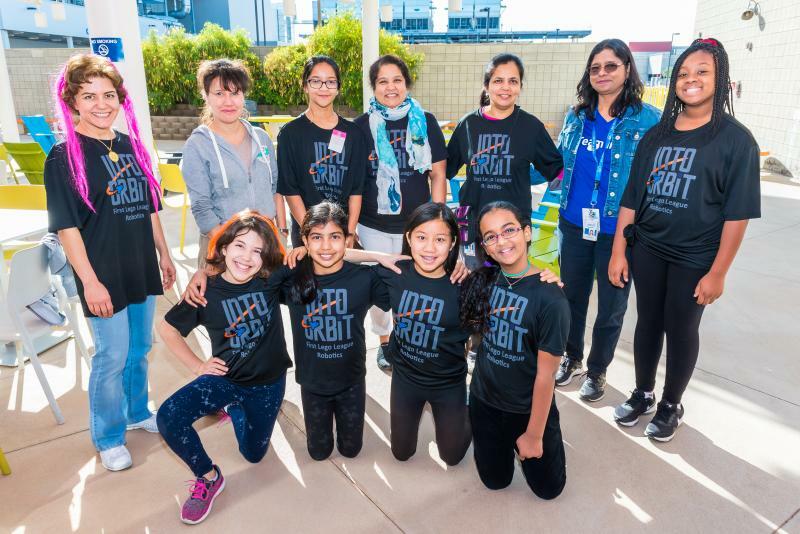 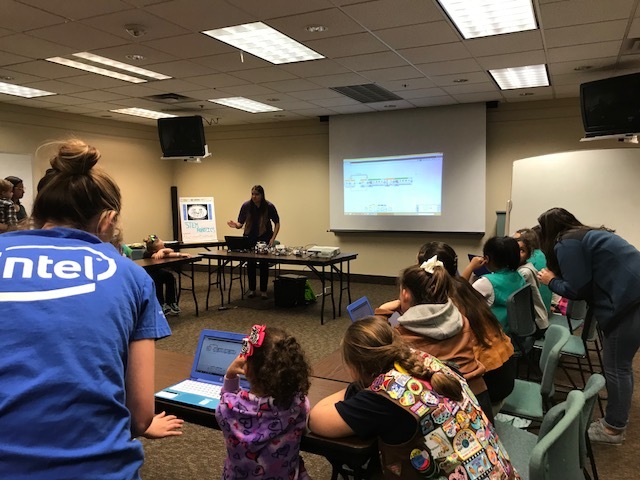 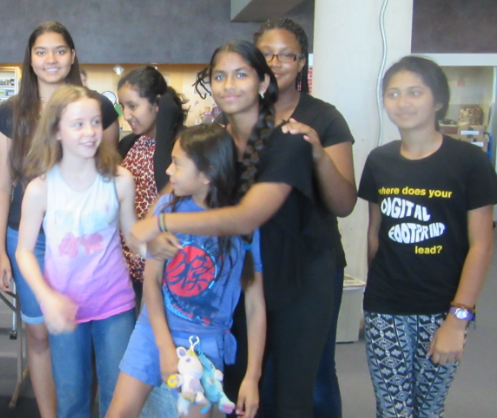 Ahwatukee & Chandler Girl Scouts teams programing for STEM badges with Intel volunteer teams! 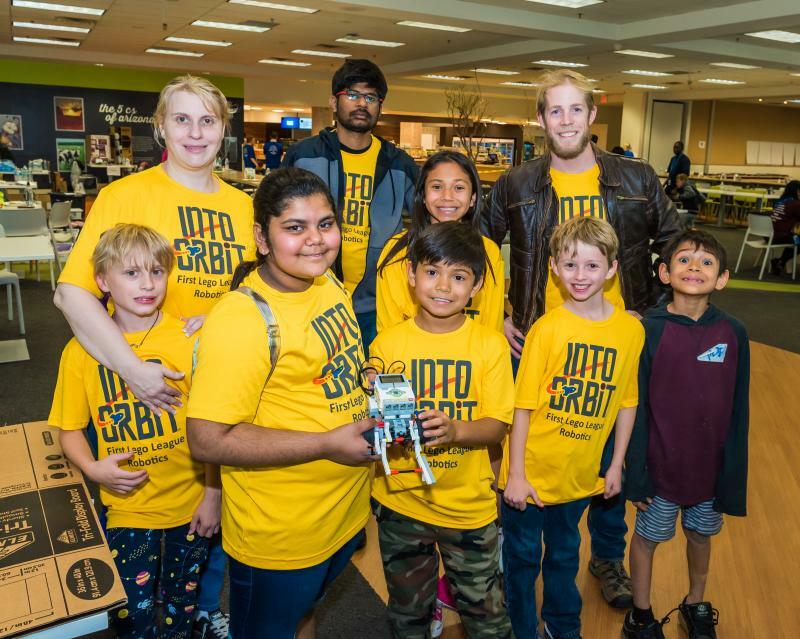 2016 FLL team THE GOLDEN DRAGON MASTER BUILDERS. 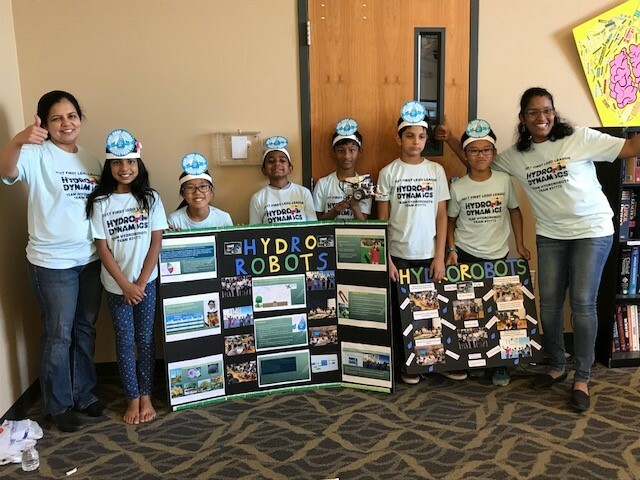 Their research project was sent to Disney World.